Have you noticed a change in the eating habits of your cats? Perhaps they are sick or regurgitating their food. Maybe they are constipated or have diarrhea. In addition, they could have increased or decreased thirst. Of course, you should seek advice from a vet, but the answer could be very simple and that is that your cats have sensitive stomachs. In this guide we have delved into the causes of sensitive stomachs and suggested foods which will relieve the effects. There are plenty of both wet and dry cat foods out there which should help your cats with their problems. It should make their lives more normal until your vet has identified the culprit which is causing their sensitive stomachs. The first possible cause of a sensitive stomach is a food allergy. Some cats can be allergic to normal foods like protein, in particular beef, chicken or pork. There can just be too much protein for them which I know does seem strange as cats do need a lot of protein. They are carnivores by nature. Secondly, they may be intolerant to certain foods. They are unable to digest these foods properly and so they are passed through their systems in almost an unchanged form. Thirdly, they could have intestinal parasites or a disease of the liver, pancreas, or gallbladder. If this is the case they won’t be able to digest food properly. Intestinal parasites can stop nutrients being absorbed and as a result watery stools are passed. Your vet will be able to diagnose digestive problems. 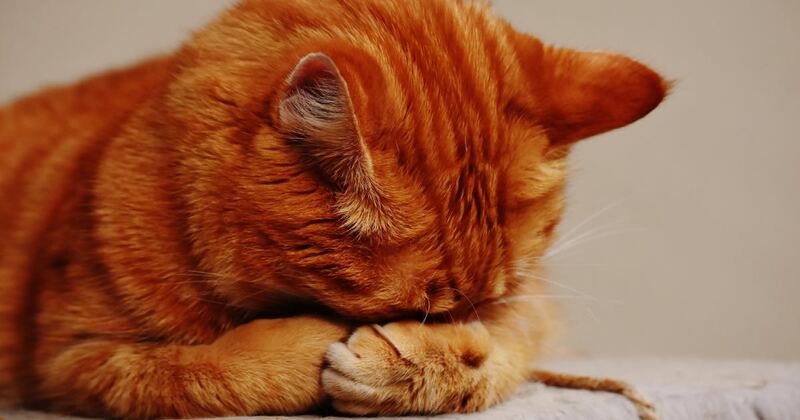 Cats groom a lot and this can lead to hairballs.These hairballs can change the way the stomach digests food. They can definitely lead to stomach problems and in addition the hairballs have to be got rid of. The best way to do this is by regurgitating which isn’t very pleasant for the cats or for you to clear up. 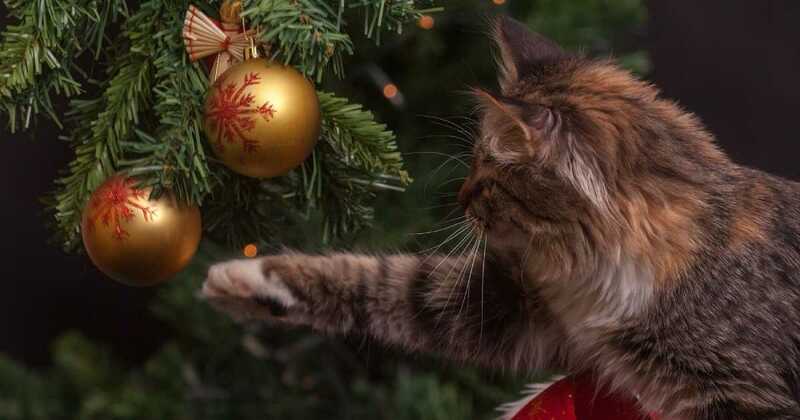 If you have outdoor cats, they tend to catch and eat anything that moves. This in turn can lead to a sensitive stomach. A sudden change in the diet of your cats can also cause stomach problems. If you want to change the food your cats eat, it is best to do it gradually. This is especially important for kittens who are just getting used to solid food. Finally, your cats could be sick simply because they are eating too quickly. You should give them the right portion size as recommended by the manufacturer. Another good idea is to feed them smaller, but more frequent meals. By doing this and transitioning onto a sensitive stomach diet at the same time, you might get an indication of what is causing the vomiting. If you sometimes feed your cats homemade food, avoid dairy as cats are unable to digest it. You can, however, give them a commercially produced cat milk replacement as it is very similar to a mother cat’s milk. Always choose grain-free food for cats with sensitive stomachs. They are unable to digest them properly and anyway things like wheat, corn, and soy are empty fillers and have no place in the diet of cats. Try and buy food with a low fat content. Bile is needed to emulsify fat and if there isn’t enough,, the undigested fat can cause diarrhea. It is advisable to buy food with as few additives as possible as they can also lead to sensitive stomachs. Commercial cat food with artificial colors, flavors, or preservatives should also be avoided. Certain proteins can also cause problems and beef is one of the culprits. You may want to go and see your vet first as you will want to prevent vomiting as soon as possible. However, you could alternatively change the food you feed your cats to one which is beneficial for sensitive stomachs. Do this gradually by adding a little to their normal food and increasing it daily until they are only eating the sensitive stomach food. Keep records of their reactions to the food. If they are still vomiting after eating only the sensitive stomach food for a few days, then it’s definitely time to see the vet. He or she can test for inflammatory bowel disease or chronic small bowel disease. The vet can also test for food allergies. In fact it could just be one item that is making your cats sick. Once this is identified your cats will be on the road to recovery. Once you find a food that works for your cats, keep feeding it whether or not they are still being sick. Sensitive stomach cat food contains all the right nutrients and can be fed for the life span of your cats. If you go back to their old food they could easily start to vomit and have diarrhea again. 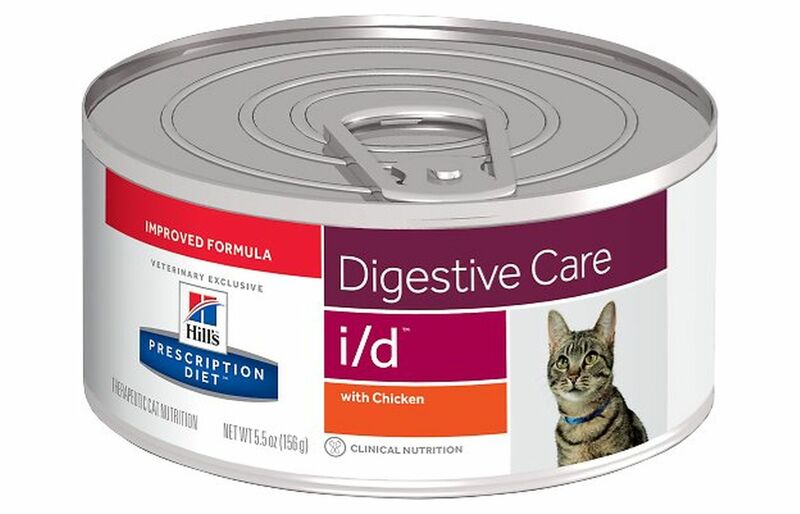 If your cats only eat dry food, you should stick to this when you introduce the new food. You don’t want to confuse them too much otherwise they might not eat at all. The same goes if they only eat wet food. The best sensitive stomach dry cat food only has a single source protein. It should also have natural ingredients, amino acids, and antioxidants. Always make sure that you read the ingredient list on the packet or look it up online. 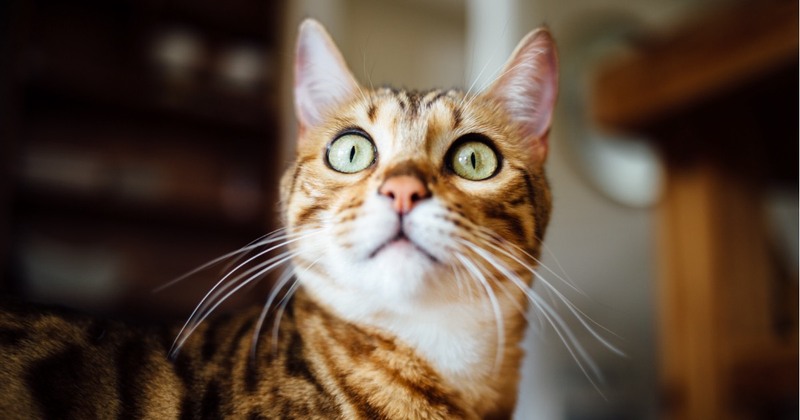 If your cats are allergic to grains, choose a grain-free formula, though grains should be avoided whether or not your cats have sensitive stomachs. It is much better for your cats if the food contains such fillers as rice and oatmeal. Wet food should have easily digestible ingredients, again no grain and no additives. Wet food has the advantage of having a lot of liquid so offers extra hydration. This can help cats with constipation or diarrhea. If you cats won’t eat wet food, make sure that there is plenty of water on offer for them to drink. If you have cats over eleven years and they start being sick, your best bet is to visit the vet first for tests. If nothing serious is found, then you should transition onto a sensitive stomach diet. As always this should be taken slowly, perhaps even more slowly than with younger cats as they will be more set in their ways. Try not to give them any commercial treats while you are doing this and table scraps are out as well. 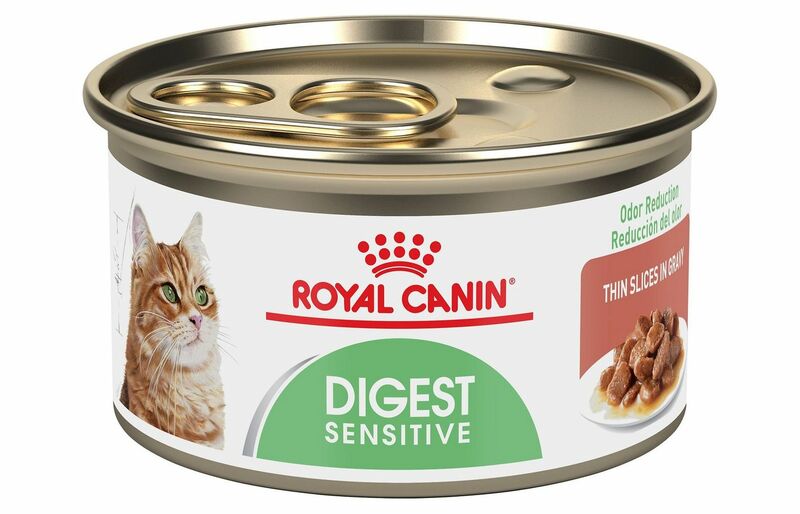 How Can a Sensitive Stomach Cat Food Help? 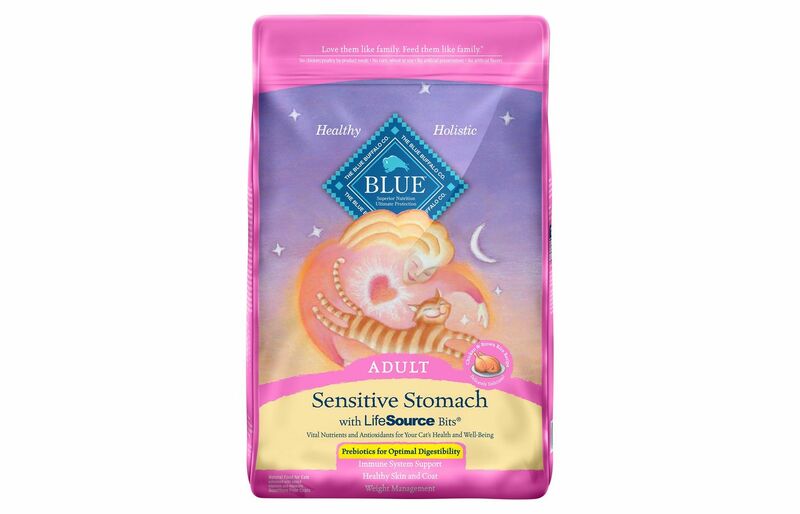 Sensitive stomach cat foods are specially formulated to reduce the risks of vomiting, constipation, and diarrhea. It is better to pay a little more for your cat food and be assured that you are getting the best. These brands don’t usually use by-products and shy away from grain as it is an empty filler. Cheaper foods often contain grains and have additives which are no good for cats with sensitive stomachs. What Else Can You do for a Cat with a Sensitive Stomach? Of course seeing the vet as well as changing the diet of your cats is important. However there are things you can do at home to make life easier for your cats. We have already mentioned hydration, but if your cats don’t seem interested, try a cat water fountain. The trickling sound it makes is likely to attract your cats and they will probably start drinking again. If you give your cats treats this will have to stop. There’s no point buying them food for sensitive stomachs and then giving them rich treats. 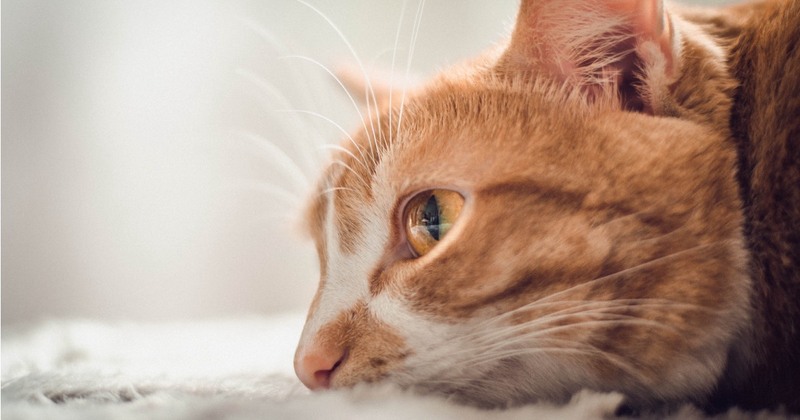 If your cats are stressed out, this could lead to a sensitive stomach. Perhaps there is rivalry going on among the cats in your household which is causing them to get stressed. Try to separate them at mealtimes so they can eat in peace. If you have more than one cat, put them all on the new diet. It won’t do the others any harm, but it will stop the sick cat stealing ordinary food from the others.. The new diet can be either wet or dry, whichever they’re used to! 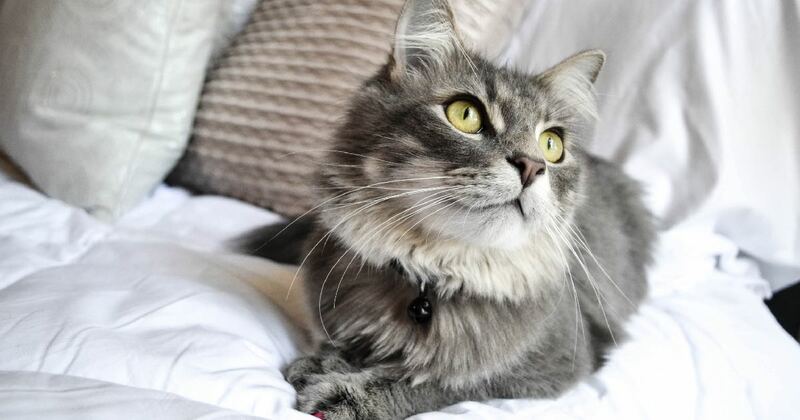 Royal Canin is our first choice because their formulas are dedicated to cats with special needs. 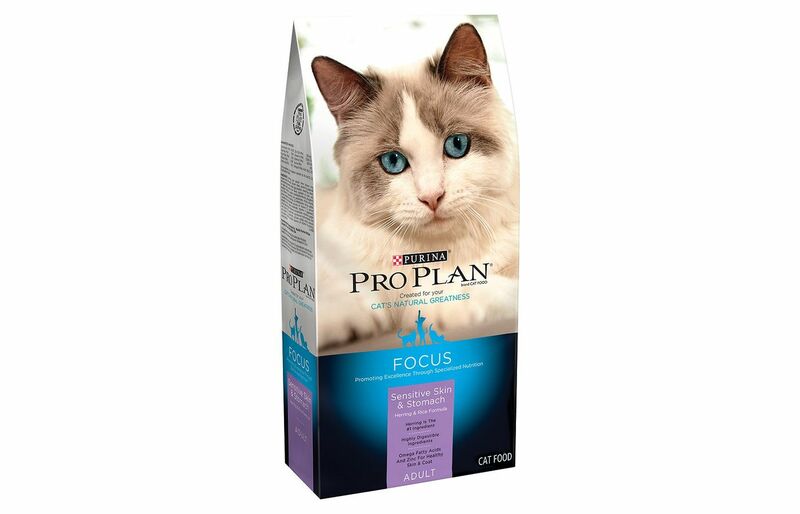 This cat food is designed specifically for cats with sensitive stomachs and offer a 100% nutritionally balanced diet. It has the perfect macro-nutrient profile, meaning that proteins, fats, and carbohydrates are balanced for optimal health. The cat food has fiber which helps to reduce stool odors which might have been a problem when your cats were sick. It is also low calorie so helps your cats to maintain an ideal weight, something which can become a problem as your cats get older. It is jam packed full of vitamins and minerals which your cats need to be healthy, and has antioxidants and amino acids to help support the immune system. The proteins are highly digestible and the food contains prebiotics and omegas as well. There is essential taurine which helps promote vision and helps to keep the heart healthy.This cat food is geared towards cats aged one year and over. The first two ingredients are sustainably-caught whitefish and salmon, both of which go easy on sensitive stomachs. There are also non-GMO garden vegetables and nourishing oils included in the kibble. Your cats will be getting sweet potatoes, blueberries, carrots, and cranberries which all provide antioxidants, fiber and vitamins. Fiber is needed for the digestive system to work properly and cranberries are good for the urinary tract. Because it’s so digestible, more food will be used for energy and there will be less stools in the litter box. There will also be less of an unpleasant odor coming from the litter box which is all the more nicer for the owners. There are no meat-meals included in the recipe which means that the kibble has a delicious fishy flavor which your cats will love. However, there are plenty of vitamins and minerals included which will give your cats optimum health. In addition, it contains essential taurine which helps promote good eyesight and a healthy heart. This Halo Holistic recipe contains the Proprietary Dream Coat supplement which provides essential fatty acids. 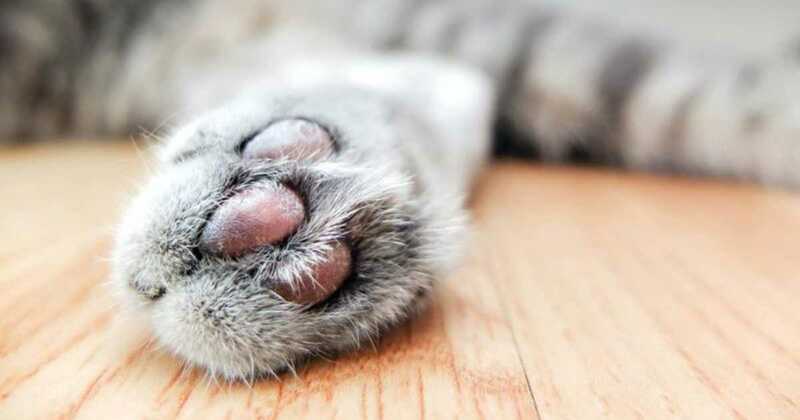 These will give your cats a glossy coat and healthy skin. This dry cat food gives your kitties a great dose of protein in the form of chicken which is the first ingredient. It doesn’t contain any empty fillers like wheat, corn or soy which have no health benefits at all for your cats. There are also no by-products so your cats will be getting a delicious meaty flavor with every bite. Instead of grain there is brown rice and oatmeal in the mix, both of which are gentle on your cats’ tummies. Blue Buffalo uses Lifesource Bits in their foods which are basically a blend of vitamins, minerals, and superfoods, all designed to support a healthy immune system. You will also find that taurine is included which is essential for cats. It helps to give good eyesight and promotes heart health. In addition there are omegas which helps to give your cats a glossy coat and healthy skin. The kibble also has probiotics and prebiotics which helps your cats to digest their food correctly and absorb nutrients. Again this helps to lessen litter box odors. Hill’s pride themselves in having vets and nutritionists on hand to develop formulas which will help your cats with digestive issues. This particular cat food contains highly digestible protein and fat which makes it easier for your cats to absorb. These proteins and fats absorb nutrients and as a result repair tissue faster. There is also soluble and insoluble fiber in this cat food, which helps with gastrointestinal health. 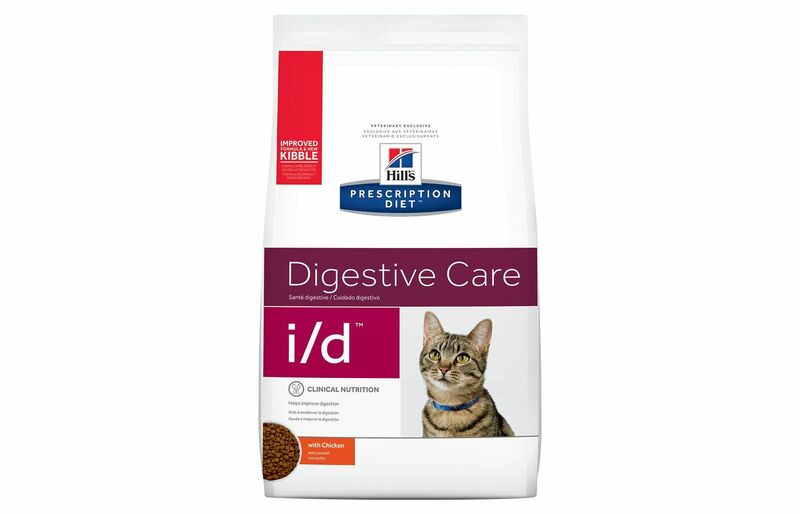 This food is grain free which is excellent for cats with digestive problems. It is very difficult for cats to absorb things like wheat, corn, and soy. Cats in the wild consume very little in the way of carbohydrates so it is better that they keep it to a minimum at home. It is jam-packed full of vitamins and minerals, all of which help towards overall health. There are antioxidants which control cell oxidation.and taurine for good eyesight and heart health This cat food is suitable for adult cats and growing kittens. 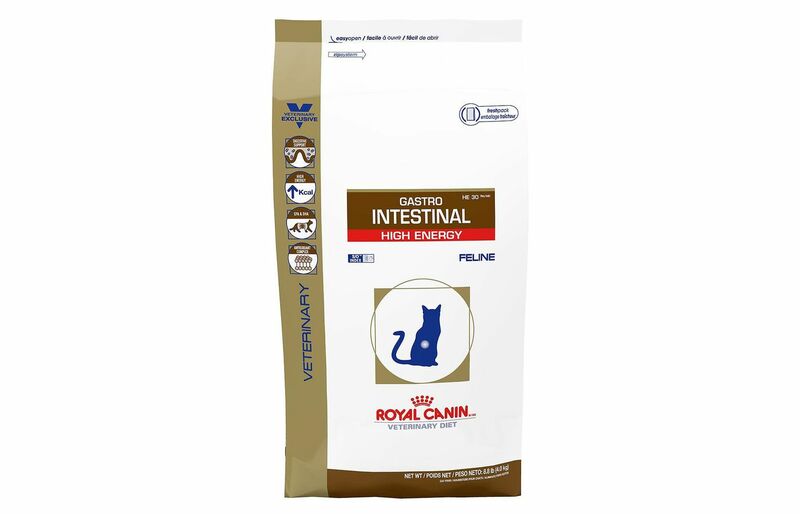 This product has been specially formulated to help keep your cats’’ digestive systems healthy. All of the ingredients are easily digested which means that your cats will get all the nutrients they need. 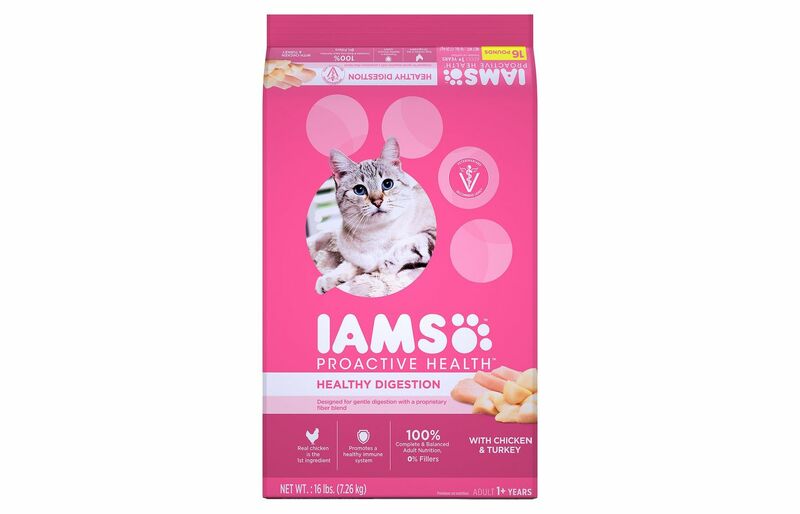 It is recommended by vets for cats who have sensitive stomachs and contains highly digestible fiber combining beet pulp and FOS. The advantages of FOS is amazing. It promotes good bacteria for the health of your cats’ stomachs, as well as bulk to move food through the digestive system. It also helps to reduce litter box odors which I’m sure you will all be grateful for. Even hairballs can be reduced. The food has all the vitamins and minerals which your cats need. There is fish oil and unsaturated fatty acids which help to give your cats a glossy coat and healthy skin. In addition, they are good for the brain and for joint and muscle health. The crunchy kibble is excellent for the teeth of your cats as it helps to reduce tartar. This cat food is good for cats aged one and above. 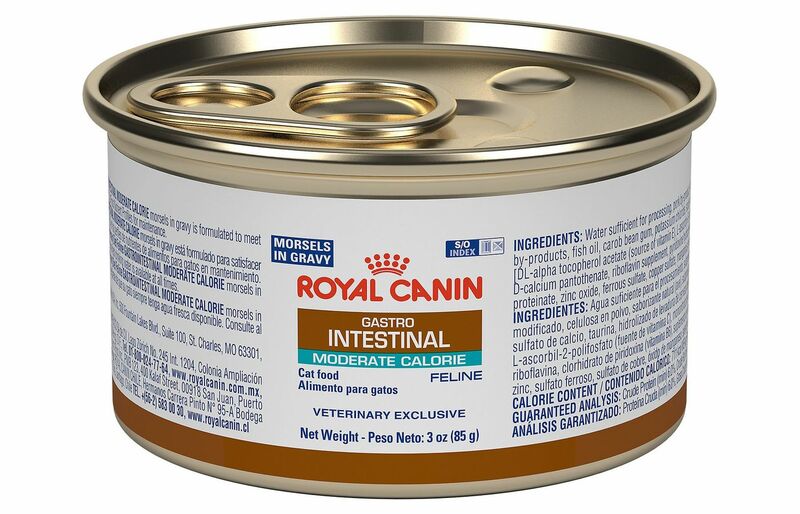 Here we have another Royal Canin product which can’t be left out as it has so many advantages. This cat food has been designed by vets to give your cats great digestion, which in turn will lead to regular elimination and less litter-box odor. It contains a mixture of soluble and insoluble fiber which helps food transit healthily through the digestive system. Digestion is also supported by probiotics, zeolite, fermentable and non-fermentable fiber. It is full of vitamins and minerals which helps to keep the immune system healthy. It also has essential taurine which promotes a healthy heart and good eyesight. In fact, this cat food has the right balance of protein, fat, and carbs, to give your cats balanced nutrition. Chicken is the first ingredient so there is a good protein kick. In addition, this food is good for urinary tract health. The Royal Canin S/O Index stops harmful crystals from forming. Herring is the number one ingredient in this sensitive stomach cat food so you can rest assured that your cat is getting a good protein shot. This food has two purposes; to help with digestive problems, and also to help soothe sensitive skin. The kibble has plenty of prebiotic fiber in the form of chicory root, so this will aid the digestive process, allowing food to pass more smoothly through the digestive tract and lessen the odor which is so often left in the litter box. Instead of empty gluten fillers, this dry cat food has rice and oatmeal which are gentle on the stomach. Omega-6 fatty acids and zinc, which are also present, help support healthy skin and give a nice glossy coat. It is also jam packed with vitamins, minerals, and antioxidants which promote a healthy immune system, and will give your cats lots of energy. In addition, it doesn’t contain any artificial flavors, colors, or preservatives. It’s all just good wholesome ingredients for the well-being of your cats. 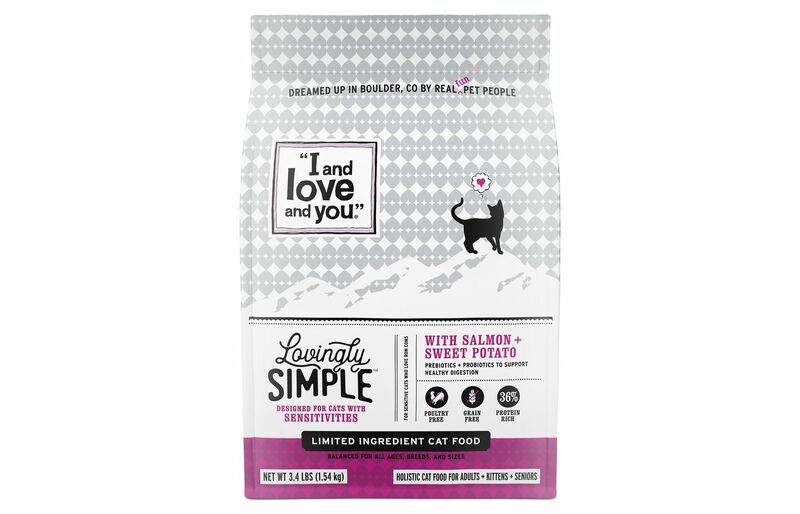 This cat food has been specially formulated for cats with sensitive stomachs It has salmon as the first ingredient which is a high-quality protein that gives your cats strong and lean muscles. It is packed with prebiotics and probiotics, both of which help the digestive tract to work well and reduce litter box odor. It is full of vitamins, minerals, and antioxidants in every bite so you will know that your cats’ immune system is being looked after very well. In addition there are Omega-3s and 6s which help to promote a glossy coat and healthy skin. There is also taurine, which is essential in a cat’s diet. It supports a healthy heart and good eyesight. In fact this kibble is a completely balanced diet for cats one year and over. It is made in the USA and has ingredients like sweet potato which have come from other countries. The kibble is grain-free, which is good news as cats don’t need empty fillers like wheat, corn, and soy. There are no by-products used and it is free of all artificial flavors, colors, and preservatives. This cat food has been developed by vets and nutritionists working at Hill’s. It has been specially formulated to promote digestive health and it has been clinically proven that it does this, as well as improve stool quality and lessen litter box odors. It is aided in this by the fiber content in pearl barley which supports digestive health..The protein in the form of chicken, and fat, are easily digestible which means less digestive problems for your cats. Nutrients can be absorbed more efficiently.and tissues can be repaired quickly. There is a multitude of vitamins, minerals, and antioxidants which together promote a healthy immune system and helps to control cell oxidation. It also helps eliminate urinary tract infections which can be a problem for cats with sensitive stomachs. There is also taurine, which is essential for cats and helps to promote heart and eye health. All in all, this kibble encourages recovery from all digestive problems. This wet cat food is another food that has two benefits. Firstly,it helps cats with sensitive stomachs and food allergies, and secondly, it is fairly low calorie so helps cats who are overweight. You often find that as your cats gets older, they have a tendency to put on weight so this recipe will help them. The high content of both soluble and insoluble fibres helps in both counts. Fiber makes you feel full-up and satisfied so your cats won’t feel deprived of food. In addition, fiber helps the food travel smoothly down the intestinal tract, leading to better stools and less litter odor. Despite having less calories, the food is full of all the nutrients necessary for a healthy life.It is jam-packed with vitamins, minerals, and antioxidants which support a healthy immune system. 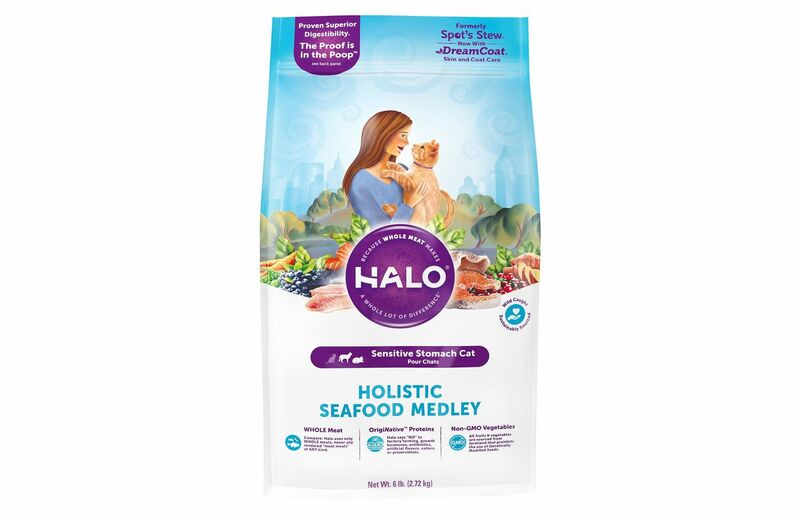 Everything in this wet cat food is highly digestible, including the protein, prebiotics and omegas. It has fish oil in it which promotes healthy skin and a glossy coat, and there is also taurine for heart and eye health. To top it all, it helps to stop urinary tract infections. 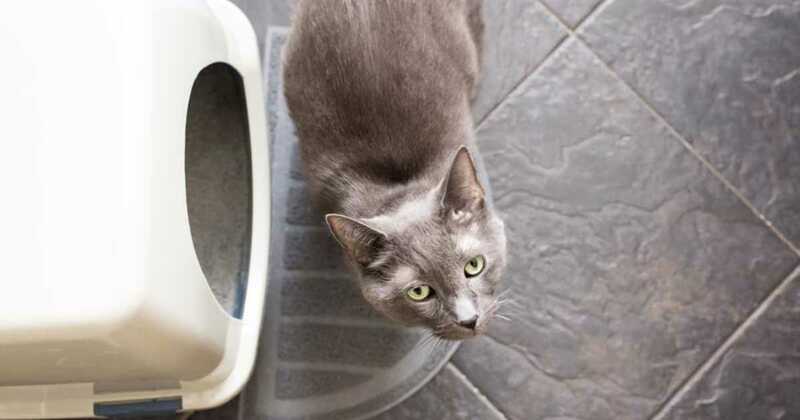 Which of these cat foods is best for cats with sensitive stomachs? There isn’t a straight answer to this as all the foods I have described are excellent. Really, it is trial and error as to what your cats will like. Every cat is different so what one likes, another might hate. If your cats only eat wet food, choose a canned food to give them, and the same goes for dry food. If they eat both, carry on giving them both. Start with small packs or cans while you are trying out the food on them so there will be as little waste as possible. In addition, take it slow and introduce the new food a little at a time with the old food until you are just feeding the new food . Some of these foods need a prescription. Why? The reason for this is that special diets require precise ingredients and nutrients for whatever the medical issue is. You won’t want a food that is for a completely different medical condition after all. This is why you need to take your cats to the vet to be properly diagnosed. If you are ordering online, companies like Chewy can contact your vet if you don’t have a prescription and he or she will give them the details about your cats. If you do have a prescription, you can take a copy and email or fax it. You can set up auto refills, but remember that prescriptions expire and there will come a time when you have to return to your vet. However, it’s all worth it if your health of your cats improves. Cats are clean, but they are also animals. Potty time for cats is done in a..